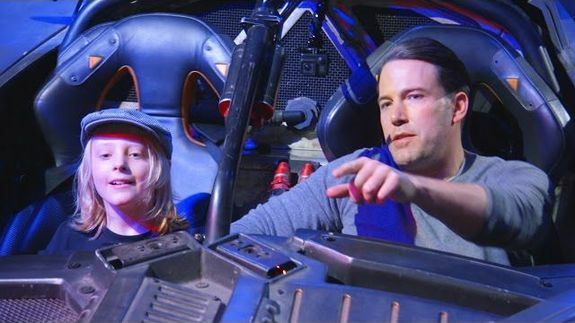 Ben Affleck hopped in his Batmobile to surprise tourists, and most of them recognized him - trendistic.com: ever tried. ever failed. no matter. try again. fail again. fail better. Ben Affleck — who is playing Batman in the upcoming Batman v. Superman: Dawn of Justice — hopped in the Batmobile this week to surprise fans on a Warner Bros. Studio Tour. Most of them were overjoyed. And he was. It was the real Ben Affleck, back tattoo and all.